The concrete staircase in a house or apartment is remarkable in all respects: it has excellent strength, durable, and comfortable. 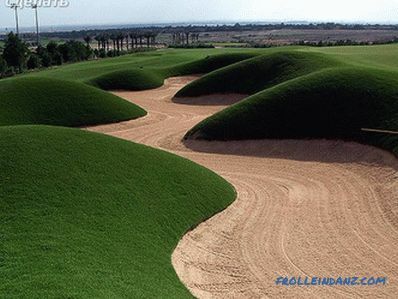 Only one drawback is seen in this product - its appearance. From the concrete stairs blows official. Yes, and walking on such a staircase is not very convenient, since in rare cases the steps and risers have the same dimensions. Outwardly, this may be completely invisible, but when walking, even a small difference in height (about 2 mm) knocks the pace of walking. So and to injury nearby. The conclusion suggests itself: the concrete stairs must be ennobled and brought to the desired state with the help of finishing materials. Various materials may be used, but the staircase paneling with wood is more acceptable. The tree is not only durable, but also creates an atmosphere of comfort in your home. Wood paneling will make steps of a concrete staircase of the same size. 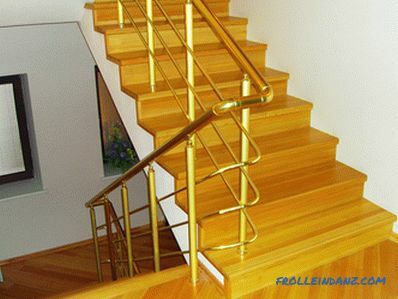 Before sheathe the stairs, it is necessary to level the width of the steps and the height of all the risers. This is done simply: we make measurements and the necessary calculations. 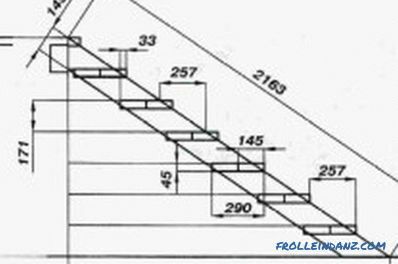 Next, in place of the irregularities, it is necessary to build a formwork and to fill the steps, cleared of dust, with concrete. 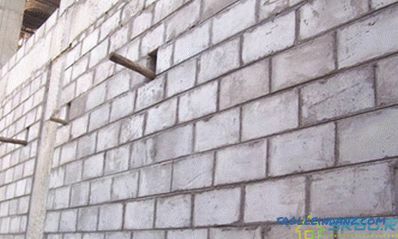 To avoid crumbling, iron the uncured concrete. For this, dry cement is rubbed into the wet surface of concrete. After drying, it will have exceptional strength. If you had to pour a fairly large amount of concrete, then to increase its strength and degree of bonding with the main staircase, you must use reinforcing elements. For these purposes, you can get the usual wire. And you can do it easier and drill holes in the surface of the stairs to a depth of about 2 cm, fix metal spikes in them. You can make fasteners on epoxy or ordinary cement. Only 2-3 months after the staircase has been poured with concrete, it is possible to do the paneling with wood. 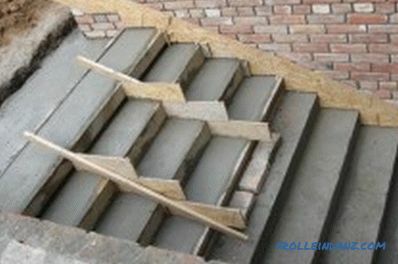 Concrete stairs should dry well. 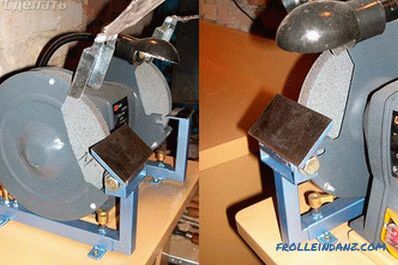 The best option is if it is not covered during the whole heating season, as they will have time to go through all the processes of shrinkage and bonding of the material. If the work must be done urgently, then we can restrict ourselves to two or three months. 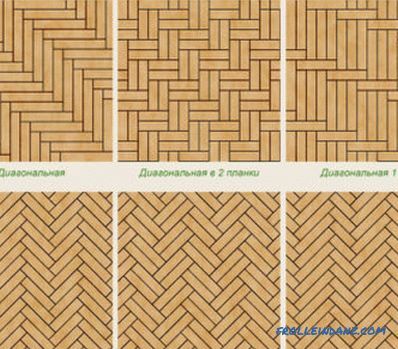 And during this period you will need to prepare high-quality lumber. The board should be cut to the required width and ogrugana on both sides. During the planing period, try to achieve the same thickness of parts. This will help to avoid further processing afterwards. The finished material is subjected to additional drying, which is carried out in a place protected from sunlight and with good ventilation. And now we begin to work with the tree. Sheathe the concrete stairs should be starting from the lowest step. First, there are several holes to be made in the riser, placing them symmetrically. The number of holes depends on the width of the stairs. Insert the bolts into the holes and press the riser to the bottom of the ladder. So you can easily get the markup on the concrete risers, where it will be necessary to make holes. The scheme of upholstery of a concrete staircase with a tree. You probably guessed that it would be necessary to insert fasteners into the aligned holes. Planting fasteners on epoxy resin is most commonly used, but more modern fasteners, such as dowels or anchors, can also be used. Between the concrete stairs and the tree must be made substrate, which will be a waterproofing. Regular plywood will do, but other materials can also be used. Under the step is also necessary to lay the substrate. It is recommended to lay it on the glue. But the best option would be to fasten the substrate together with the wooden step on the metal spikes. So you will ensure the stationarity of the steps. Glued elements may eventually peel off and move away from their normal position, which is fraught with injuries. If the steps are planted on metal spikes, then their displacement will be impossible. Spikes can be made from thick wire-rod or bolts (just cut off the cap). And build them into the concrete stairs should be as described earlier. 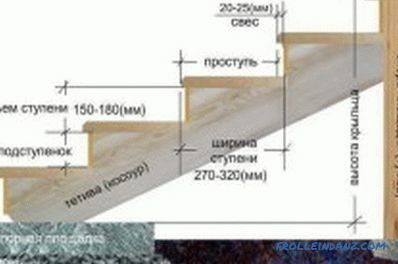 In the course of working with wood, constantly monitor the thickness and horizontal position of the steps. If you received unequal risers, then adjust the workpiece before the final fastener to the required size.To avoid overspending the wood, you should use templates made of plywood and already make the details of the trim by their size. Spend all the described processes with each step. Sheathe each step and connect the casing to each other. 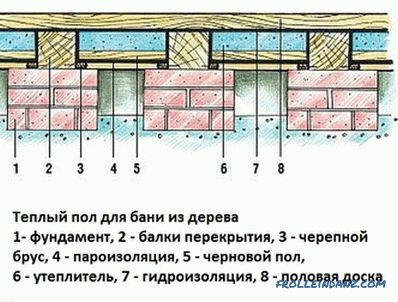 It is not recommended to use nails, it is better to connect all with wooden pins. So you will achieve the maximum approximation to the ideal size of the stairs. When a concrete staircase with a tree was finally sheathed, it is necessary to make a thorough cleaning of the surfaces obtained. Processing of the finished ladder is done as a stain. We do this with the help of a sander in several stages. And now you have to clean the entire product from dust and seal up all the cracks and chips with a special wood putty. You also need to do with the holes for fasteners. 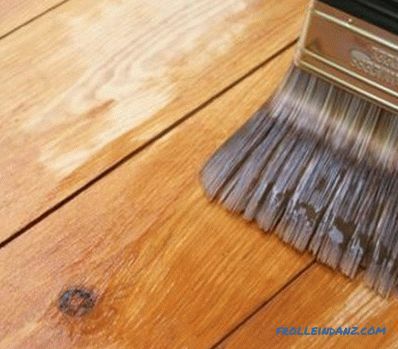 After the filler has dried, the wood has to be saturated with wood pests. The question arises as to whether the skin is being painted. Usually they do it, but there are more beautiful ways of finishing work. The tree looks great after it is processed by the stain. It is absorbed quickly, dries too, gives the product a richer look. 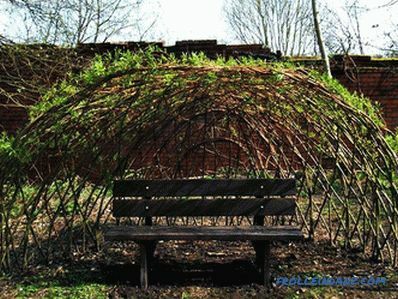 And if you show a little bit of wit and creativity, then you can also achieve a very beautiful internal structure. Ordinary comb on the stain can be obtained so original drawing that any designer will envy you. Sheathing a concrete staircase with a tree is not so difficult as you have noticed, but the time and material costs will be quite large. 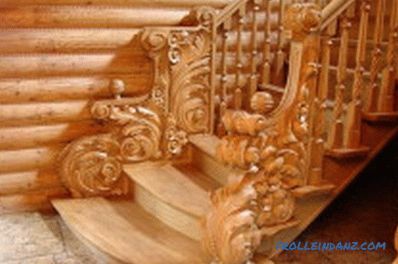 It is also necessary to undertake such work because you will have the opportunity (even the need) to make beautiful carved or forged railings for the stairs. An ordinary concrete staircase cannot be combined with the above elements, but with the wooden surface of the steps it is simply exquisite.